Latest Online Games - Bingo, Slots, Scratch, Poker & more! 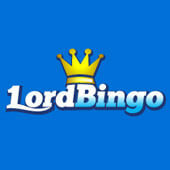 Check Lord Bingo's incredible latest online games news! Of course, Lord Bingo has all of the hottest news about the latest bingo games, but the Lord also reports on the latest happenings involving slots, roulette, poker, blackjack, hi-lo and keno. Be sure to check beck frequently for updates to the Lord Bingo latest games archive.